Satellite Laser Ranging (SLR) began in the mid-1960s on satellites of opportunity with retro-reflectors intended as a part of intercomparison tests of satellite tracking techniques. Shortly thereafter, data from these satellites began to work their way into geodetic solutions and dedicated geodesy experiments. By early 1970s when future requirements for centimeter accuracy were envisioned, planning began for dedicated, spherical retro-reflector geodetic satellites. Built with high mass-to-area ratios, these satellites would have important applications in gravity field modeling, station geolocation and fiducial reference systems, Earth rotation, and fundamental physics. Early geodetic satellites were Starlette, launched in 1975 by Centre National d’Etudes Spatiales (CNES), and LAGEOS in 1976 by the National Aeronautics and Space Administration (NASA). Recent geodetic satellites include LARES, launched in 2012, and LARES-2 under development, both by the Italian Space Agency (ASI). Today, a complex of these ‘geodetic satellites’ from low to high altitude Earth orbits supports many space geodesy requirements. 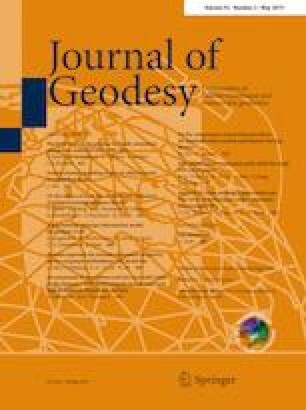 This paper will discuss the evolution of the geodetic satellites from the early days, through current programs and out to future needs as we approach our goal for millimeter accuracy. Coauthor Mark Davis is deceased. The authors acknowledge the ILRS for providing the ground stations and the laser ranging data of all the satellites described in the paper. M.R. Pearlman and D. Arnold acknowledge the support of NASA Grant 80NSSC18K0220. F. Barlier and R. Biancale acknowledge the support of CNES and the Observatoire de la Cte dAzur/GEOAZUR. I. Ciufolini and A. Paolozzi acknowledge the Italian Space Agency for the support of the LARES and LARES 2 space missions under agreements No. 2017-23-H.0 and No. 2015-021-R.0. E. C. Pavlis acknowledges the support of NASA Grant NNX15AT34A.